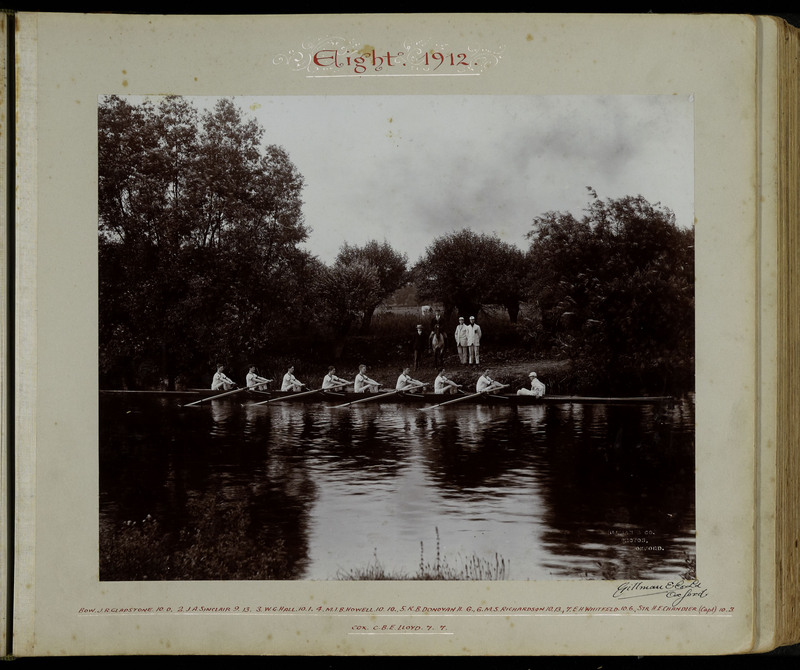 At school he rowed for the First VIII in 1912. After school he worked ‘with Messrs Lysaght Ltd.’ – a steel-working company in Bristol. 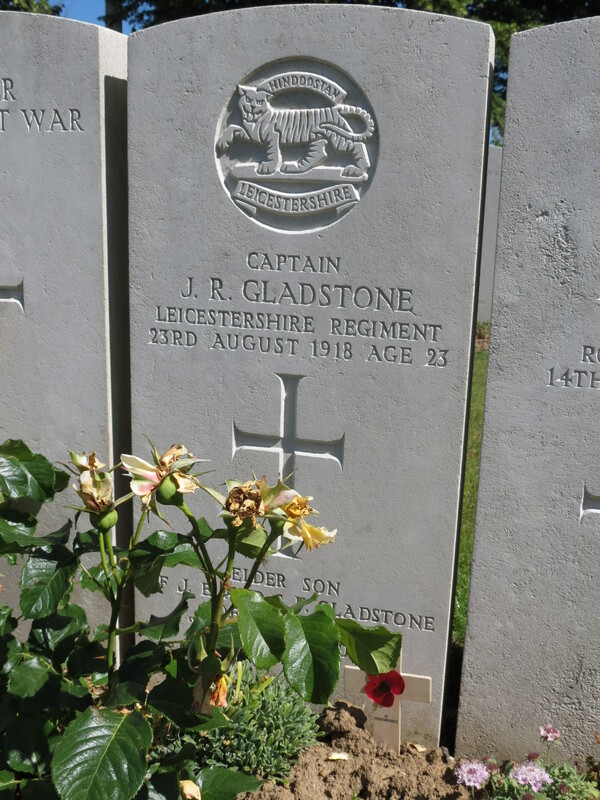 He joined up immediately on the outbreak of the war: received his commission on Aug. 28, 1914, in the Leicestershire Regiment. He went to France in July, 1915, and was wounded in July, 1916.He returned to France in January, 1917; he was severely wounded in the following April and was shortly afterwards promoted Captain and mentioned in dispatches. 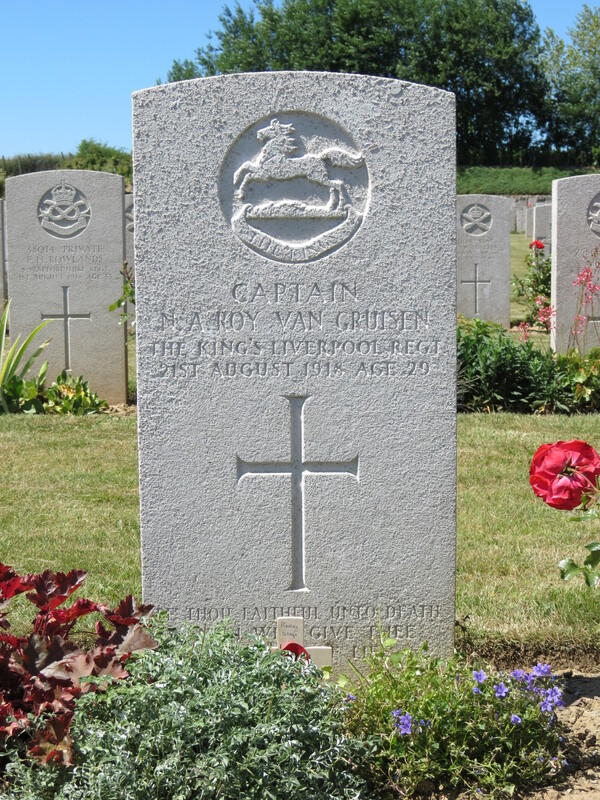 He again went to France in May and was killed on 18th September, 1918. The Radley Register and Commonwealth War Graves Commission disagree with the obituary in The Radleian and give his date of death as 23rd August 1918. Posted in Commemorating the Fallen of WW1 and tagged Battle of Albert, Captain, Flanders & France (Western Front), G Social, killed in action, Marching in Memory for Combat Stress July 2015, mentioned in despatches on 23 August, 2018 by archives602. He went straight into the army on leaving school in 1909. Posted in Commemorating the Fallen of WW1 and tagged Battle of Albert, Captain, career serviceman, E Social, Flanders & France (Western Front), Marching in Memory for Combat Stress July 2015 on 21 August, 2018 by archives602.